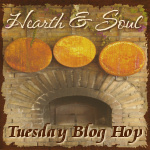 Welcome to the Hearth and Soul Hop, the blog hop that shares food from the hearth to feed your soul. 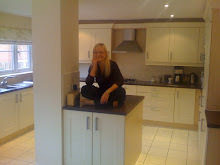 Recipes should include healthy ingredients and can be old or new recipes or posts. Articles on real food, slow food, foraging, herbal remedies, local food, sustainable food, organics, gardening or any healthy eating information written in a positive light are also welcome.